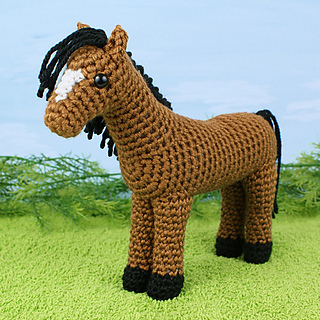 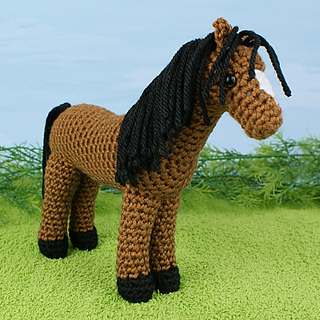 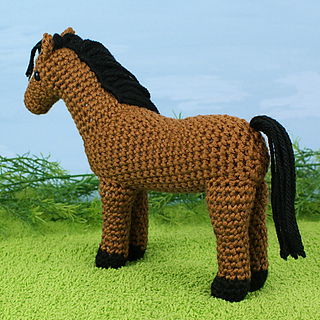 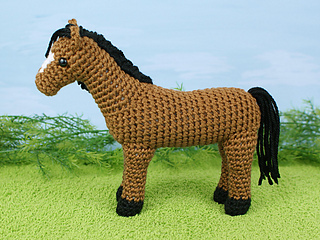 An original realistic crochet amigurumi Horse pattern by June Gilbank. 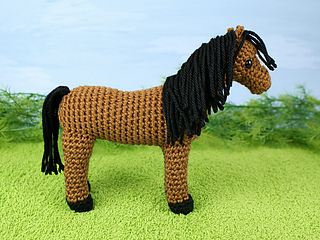 The mane is thick and full, and the strands are attached neatly and firmly. 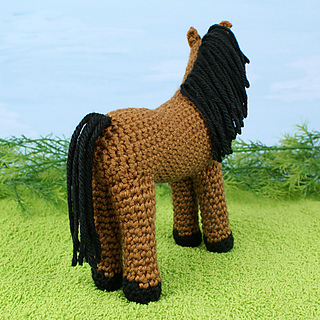 The tail hangs beautifully with no knots or visible attachment points. 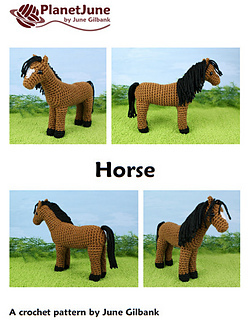 Both techniques require no additional materials and are explained in full in the pattern, with lots of step-by-step photos so you can make a perfect horse!